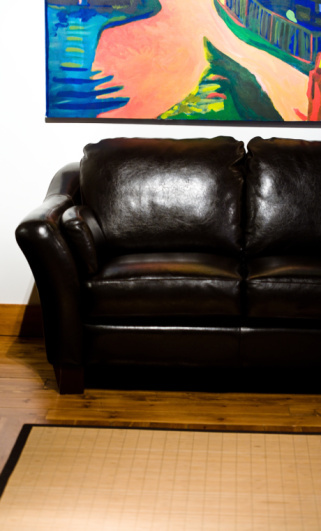 Sweat and other odors on your couch can make sitting an unpleasant experience. Perspiration not only leaves behind a distinctive odor, but when combined with oil from the hair and body, it can also discolor or stain the material. 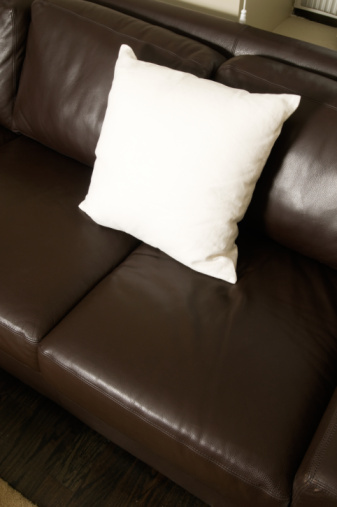 Regardless of their construction material, sofas are all prone to sweat odors, even vinyl and leather ones. Sweat odors on your couch repels guests. Place activated charcoal pieces in small bowls, and arrange them on your couch where the smell pervades. Change out the charcoal pieces every three days until the sweat smell fades. Pour 3 parts water, 1 part white vinegar and 1/2 tablespoon of mild dishwashing soap into a plastic spray bottle, and then spritz the couch lightly. With firm, circular motions, clean the fabric, concentrating on the areas that smell the strongest. White vinegar neutralizes sweat odors and freshens fabric, while dish soap cuts through oils and leaves a fresh scent. Wipe the fabric with another clean cloth dipped in cool water to remove excess soap residue. The vinegar odor subsides after a few hours. Sprinkle baking soda liberally on the couch, let it set overnight, and then vacuum using your vacuum's upholstery tool. Baking soda absorbs odors and leaves fabric smelling fresh. Repeat the process if the odor persists. Spray a commercial odor-neutralizing product on your couch to eliminate sweat odors and leave a fresh fragrance. Don't use household air fresheners to remove odors from your couch because they only cover up smells and don't eliminate them. Open doors and windows to ventilate the room where your couch is. The fresh air freshens the fabric and weakens the odor. Combine 3 cups of hot water with the juice from a whole lemon, and wipe down leather and faux leather couches to remove sweat odors. Dip a clean cloth into the lemon solution, and wipe the couch in firm, circular motions.